I taught Katie how to play last weekend and we’ve been having so much fun with it. Have you forgotten how to play? Here’s a refresher. Jumping through the numbers has brought back so many memories of simple games that I played as a child. Anyone remember Four Square? Think she’s ready for that? Because I was the Four Square Queen! We just taught Sadie how to play a few weeks ago too! SO FUN!!! Isn't four square that social media site that you use to check into place? Just kidding…hopscotch is fun to play. Preschoolers are a blast. I HAD totdally forgotten how to play hopscotch! but I loved it as a girl. I love playing Hopscotch! Watching Bea hop and skip is hysterical. She takes it quite seriously. And Four Square! We had TWO squares spray painted on our driveway growing up. Epic battles and tournaments. 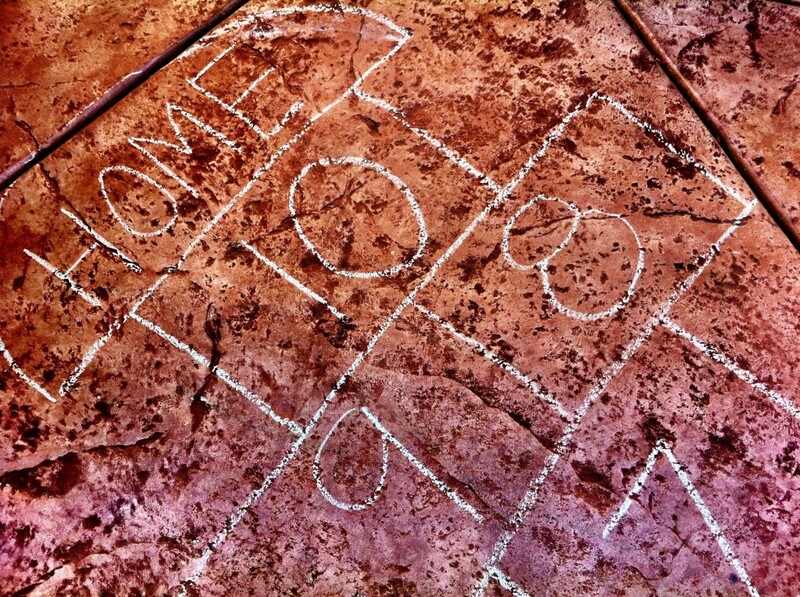 Many hours of my childhood were spent playing Four Square.